If the Bible is essentially a book of law, why does it begin with stories of Genesis? Would it not make more sense to skip the stories and start with the legal sections of the Torah? Rashi, the famed medieval commentator, answers this question with an essential lesson that should inform our reading of the entire Tanakh. According to Rashi, one day the nations of the world would accuse the Jewish People of stealing Eretz Yisrael. In response, the Jews will point to the Torah which begins by telling us that God created the heaven and the earth. Since Hashem is the Creator of the world, He may give the land to whomever He wishes, and it is the divine will that the Land of Israel will belong to the People of Israel. 3 Hashem said, “Let there be light”; and there was light. 4 Hashem saw that the light was good, and Hashem separated the light from the darkness. 5 Hashem called the light Day, and the darkness He called Night. And there was evening and there was morning, a first day. 8 Hashem called the expanse Sky. And there was evening and there was morning, a second day. 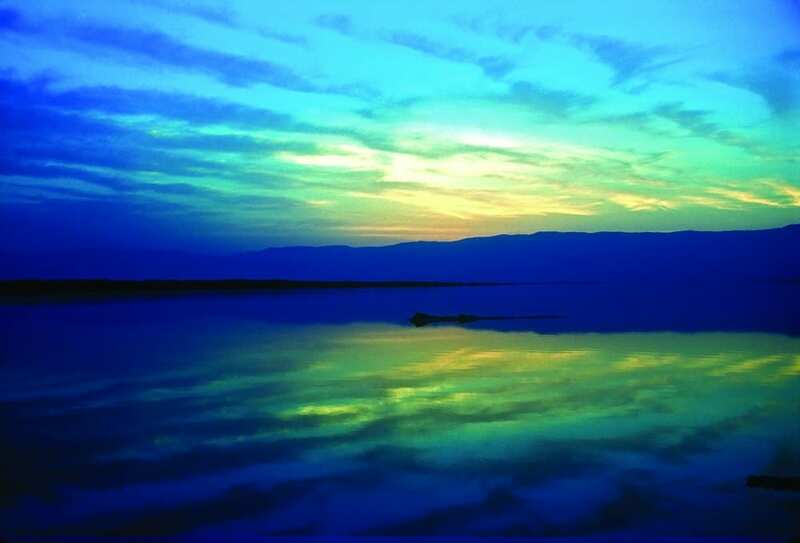 9 Hashem said, “Let the water below the sky be gathered into one area, that the dry land may appear.” And it was so. 10 Hashem called the dry land Earth, and the gathering of waters He called Seas. And Hashem saw that this was good. 11 And Hashem said, “Let the earth sprout vegetation: seed-bearing plants, fruit trees of every kind on earth that bear fruit with the seed in it.” And it was so. 15 and they serve as lights in the expanse of the sky to shine upon the earth.” And it was so. 18 to dominate the day and the night, and to separate light from darkness. And Hashem saw that this was good. 24 Hashem said, “Let the earth bring forth every kind of living creature: cattle, creeping things, and wild beasts of every kind.” And it was so. 25 Hashem made wild beasts of every kind and cattle of every kind, and all kinds of creeping things of the earth. And Hashem saw that this was good. 29 Hashem said, “See, I give you every seed-bearing plant that is upon all the earth, and every tree that has seed-bearing fruit; they shall be yours for food. 30 And to all the animals on land, to all the birds of the sky, and to everything that creeps on earth, in which there is the breath of life, [I give] all the green plants for food.” And it was so. 31 And Hashem saw all that He had made, and found it very good. And there was evening and there was morning, the sixth day. In Genesis 6:2, I take it that the “Wind” of God is “Obviously” referring to the “Spirit” of God?! Shalom and blessings to all. Hi everybody my name is Isak, I'm from South Africa. My opinion is that there are a small difference between men and Angels. Men are created to the image of Hashem. But he is less than the Angels of Hashem. Let us (spirit) make (Angels) Man (creation) in our image. Does G-od have image? Elokim… like (the powerfull of heaven ). Only creatures have images… Not the Allmighty King of the universal. How many spirits can be seen with humans eyes? Because if you can't see them… Neither will be possible to count them. In Heaven there is Elohim, there are Divine Beings and then Angels. But after the flood, God made it so, that Us three dimensional beings and the LORD’S divine sons would no longer be able to interact with each other in that way though in some cases contact has still been known with stories you may of heard of from around the World and through the centuries, as well as stated in the Torah/Bible. Melchizedek “the most High Priest” was one such being and in whom many suspect to actually be Yeshua Himself. There was also the three strangers/visitors of Abram (Abraham) and whom also interactively ate with Abraham. And talking about Yeshua, after His Crucifixion and in His resurrected body (4th Dimensional form) He was able to be seen, touched and eat fish and honey with His Disciples though at the same time also able to just appear and disappear anywhere at anytime, walk through walls and be lifted up into Heaven in that same resurrectional form. The same form We believers and followers will be made into on that glorious day of the Lord to come. When we contemplate the nature of God we reach the limits of finite human personality, and we should not be surprised by how multifaceted He is. Hi, would someone be able to tell me in verse 28 is it a correct translation for 'replenish'? To me that would imply a command to fill something that was already full. I have some struggles with the concept of the 6-day creation as well. If G-d created everything in 6 days, where do the fossils come from – the dinosaurs and creatures who seem, by science to have been here millions of years before man? Some theories have been pointed out that it was possible that Satan involved himself in their creation but that would still require the earth to have been created first right? So help me explain to the little children what all of this means. I am new to this site. I love the State of Israel and it's people. To answer your question you might consider the flood and its effect on our ecosystem. I would also suggest that since G-d created, He did so with some TIME added. i.e. the trees were fully formed as well as the chicken coming before the egg ;-). A source that can better answer your question I would suggest is Institue for Creation Research ICR. I ask people to be patient with me as there are some things I would like to say that are my thinking to myself and not statements I cling to. Genesis starts out, "In the beginning.". But actually there was no beginning because God always was. There is no Time when God was not. But there was a time that there was the beginning of Creation. Was there a time before Creation? There must have been because there was a time when only God was. However, we know that the angels were created before humans because Satan who already had disobeyed and rebelled against God was in the Garden of Eden to tempt and successfully seduce Eve. Satan's name before he rebelled against God was Lucifer which means "light bearer". Before Adam and Eve were created there was a "war in Heaven" which God talks about in Ezekiel chapter 28 which starts out talking about the king of Tyre who resembles Satan and then more clearly talks about Satan. I am told that the Hebrew To hu ve bu hu which is translated as "was" in Genesis 2 can also be translated as "became", which would change the sentence to, "The earth became formless and empty" and possibly could have became that way because of the war in Heaven when Satan convinced 1/3 of the angels to rebel against God and the holy and good angels kicked Satan and his evil angels out of heaven. I would appreciate any thoughts or insights on what I have written especially by rabbi's. After reading the previous comments I am again struck by the great love of Hashem that everyone has for Hashem and that I have also. It helps me to feel as if we are all brothers and sisters and children of Hashem our Holy Father. Thank you dear holy people who created this wonderful website. Shalom uvracha ata. Shalom Albert. I am in total agreement with you on this wonderful site and the great people of Hashem. I also find your question very interesting as well. The beginning could mean the beginning of Earth, not of time which I believe is meaningless to G-d. I know others who have studied these things longer than I can offer more. I just wanted to say that you are not alone here with your questions. Thank you Pat. I appreciate everything you say. Hi Albert, I am just getting started with this and hope to learn, period. So far it seems everyone is acting very human and acceptive of each view, that is very encouraging. I met and developed a relationship with a Jewish lady who shared with me a, to her, a very cherished book. I can't remember the authors name but she was British, anyway, the book was about a time before earth or man. Michael, Gabriel, Raphael and Lucifer were brother's and Son's of God the Father. They all enjoyed life together and rode their chariots throughout the infinite universe, having races, all laughing and having great fun seeing who would arrive at a given planet first. They had great fun and love for each other until the Father decided to create human life. All but Lucifer accepted this and this was the beginning of division between the 4 brothers. The decision was also accepted by the 24 Elders, leaving only Lucifer in objection. Lucifer's MAIN objection was that The Father was going to use, or infuse HIS own DNA into this new creation and was planning to place them on, and give them Planet Earth. Lucifer's objection to this was the very first time any had disagreed with the Father, and the Elders, the first time HATE existed. Lucifer didn't want change to come, he rebelled, he attempted to destroy The Father's "new creation" and in the first " anger" killed his pet panther, which everyone else couldn't at first even comprehend because they had NEVER seen DEATH before. It all comes down to all these " first's " done by Lucifer was the Creation of Sin and Lucifer has not stopped trying to Destroy Human Kind. Quite a " reaching " story, but that's the jest of a book that this Jewish Lady treasured. Taken from the "story" above; The Son's of God were created Heavenly being's, angel's. Genesis means Beginnings. I read up to Gen. 2:3 that Elohim created and then blessed the 7th Day and Sanctified it. 2:4 These ARE the generations (plural) of the Heavens(plural) and of the earth(singular) when they were created, in the day that the Lord God( Yahweh Elohim) made the earth and the heavens : So in 1:2 we have Ruach Elohim, the Spirit of God and 2:4 Yahweh Elohim, The Trinity. The bloodline follows ONLY the Genealogy of Jesus. Jesus being the Redemptive Plan from the foundations of the World. The New Testament explains the Old Testament and the Old explains the New. God is Eternal, from everlasting to everlasting, more closely in Hebrew, from the vanishing point to the vanishing point. This is such a great blessing to fine this sight and to hear the word spoken in Hebrew , I have studying Hebrew for some time now on my own , this is a great help to me , and a wonderful finding of a treasure as anything ever to be . Thank you very much for your work of labor and I will be praying blessings on you as the Lord helps me to learn the Hebrew , my heart is with the people of the book , and if I was younger I would have loved to helped lsrael to stay free . I do support I D F each month and pray for the peace of the nation re-born in a day Isaiah 41:1 – 43:28 and 44:1-3 . From 70 A D unto 1948 the care of the Lord and His Arm has been stretched out still , from alaph to tav , from apha to omega , the beginning and the end , He is faithfully watching over Israel , bless thee , Yeshua . Yes, I agree, Elohim has concealed things in scriptures for us to dig out as His Ruach leads us illuminating His words. This is for our own good; we dont learn to walk by seeing someone do it; we learn by doing it ourselves. According to Proverbs 25; 2, Elohim has hidden truths throughout Scriptures (glory of God to conceal a thing). He has so done in order to cause us to search them out (search out a matter). Of course, Elohim could just write/speak in a plain manner so we could readily understand. However, that would not give us strength. In depriving us of the ability to dig below the surface, our faith in Him would become weak and of no value. With that in mind, I have brought to light a great mystery hidden within this first verse of Torah regarding the "Aleph/Tav symbol. To other comments I've made on the symbol, I would like to add two quotes from noted Rabbis. From the "Ask the Rabbi" website, the Rabbi says, "The sages deduce laws from the places where the 'Aleph/Tav' appears. The rule is that it is meant to include something above and beyond the limited definition of the word". Rabbi S.R. Hirsch says the symbol is related to the word, 'Os' or sign. For example, the symbol stands for more than itself. That is the mysterious uniqueness of this symbol. It's not just a random symbol. It appears over 2600 times in Torah alone, and nearly 3 times that much in the whole of Tanakh. In addition, about 800 times more, it appears with another letter before or after it, giving it a different meaning yet. With its very wide and varied use, I think it's a very valuable jewel indeed, well worth digging for. IF YOU SET OUT TO EXPLORE GODS WORD IN TRUTH YOU WILL FIND THAT EVERYTHING POINTS TO THE CROSS, IF YOU LEAVE OUT THE THE NEW TESTAMENT AND THE CROSS THE OLD TESTAMENT LEAVES NO MEANING. CHECK IT OUT AS I DID AND YOU WILL SEE THE FULLNESS THAT THE NEW TESTAMENT BRINGS IN TRUTH AND MEANING TO THE OLD TESTAMENT, IF YOU REALLY WANT TRUTH. It's not true, it's not about the cross but to know the truth about the Father in heaven the Almighty One, the Creator of all things that we may know Him and all return back to Him. I have disagree with you. With out the Hebrew scriptures the B'rit Hadasha is meaningless…We must remember the B'rit Hadasha (New Testament) Is NOT scripture in the divine like the Hebrew scriptures. It is a compilation of letters written to man and it is only as good and useful if it stands up to the Hebrew scriptures. That is everything we read in the B'rit Hadasha(new Testament) if it does not or is not supported in the Hebrew scriptures can not be true. We must remember that the writers of the B'rit Hadasha were people of the Hebrew scriptures and that is what they were teaching! The problem is the translation into english has polluted and diluted the words in the New Testament. That being said that is changing because truths are coming out…Yeshua is all thru the Hebrew scriptures. We can live without the New Testament we CAN NOT live with out the Hebrew scriptures. Yeshua was a Pharisee as was Shual . Yeshua did not come to teach a new way of life or religious. But he knew what was going to happened after he was crucified. He also knew in the last days bits of truth would reappear leaving man with a deep thirst for more truth…a thirst that can not be quenched and the Nations would seek out his brethren who are the chosen children of HaShem to help them learn more. One day in a blink of an eye we will all know everything for it will be written on our hearts and will not have to depend on one another to seek the truth. Until then we must keep on strive to learn …and for those of us who have come from a western minds set, we must remember and keep in our mind we can only truly know the depth of the word with steadfast prayer and searching and picking the brains of our Jewish brethren especially those with the "Eastern mindset"….I Pray we all stay steady in the narrow path HaShem has placed before and we stay focused. Shalom to all. I am a novice in learning Hebrew and am keen on learning that precious language. I have been struggling with Genesis 1 six days creation. I need to understand the Hebrew words. In Genesis 1:5, ( I read from NKJV) G-d called the light Day, and the darkness He called Night. So the evening and the morning were the first day. What does the word day really mean in Hebrew? Some people say that it is only lateral, the others say it is not. Some people say that it took Him millions of years to create the universe as the Bible says that to God one year is one day and vice versa, the others say that it takes six days because He cannot tell lie. One perspective I've heard is that the day is literal and not millions of years is because G-D created the plants on earth on day 3, which in Jewish tradition starts at night and ends in day, and then He creates the Stars, Sun, and Moon the very next day. If it were millions of years then would it be possible for the plants to grow let alone survive? I don't know if you've heard this perspective or not but hope it helps! Of course it is not literal. The Creation is not about Jewish tradition of day. When the Father created the Universe the DAY doesn't mean 24 hours Earth day. The Almighty Creator is not bound by time or day according to our concept. He emphasize the days that we may know a glimpse of His Wisdom as he created even the beginning of our time bounded by hours, days, week, seasons and years according to the celestial body above us. Prior to the sun placed in the sky to mark a 24 hour day, Yom could mean a long, long period of time. In the spirit of v. 26 of the Israel Bible, "And God said: 'Let US make man in OUR image, after OUR likeness…'", there is significant evidence in this chapter concerning unity of action of the multiple parts of Elohim. In addition to v.1, the words, "Elohim et", appears in unity six more times before the chapter ends–vv. 7, 16, 21,25,27, & 31. It's clear Hashem is not double minded. Every part of Him is working together in unison. It's a concept that is clearly shown in the "shema" of Deut. 6: 4. It says YHVH (Yod Hey Vav Hey) is "one (echad)". In the first chapter of Torah alone, there are 7 witnesses that testify of the "unified One" character of our Elohim. No. The verbs that follow are singular. Sorry, unity is not the issue here. Understanding Hebrew grammar is. Yes the Father did mean refer to his first creation "The only begotten Son" D Messiah, D Savior. In fact all was created by the Father Almighty because of "The Word." There is another consideration of the "Aleph Tav". These letters are the first and last letters of the Hebrew alephbet. The two letters together suggest "authority", in this case of an absolute sense. In all His glory and dominion, Elohim is the first and last in all He says and does. There is no other opinion but His. He put His Torah in the simplest of forms through Moshe, and commanded that it not to be added to or taken from. Religious leaders and teachers do not have the authority to alter any words spoken through Moshe. Aleph Tav…. for those who believe Yeshua' is the M'ashiach , he tells us he is the APEPH TAV….so my thinking is and it is my thinking. The ALEPH TAV which untranslatable could represent him. Understand the Hebrew scriptures have several layers of meaning…and I fell strongly this is one….any opinions out there on this?? To Mel Alexenburg (from your link): "My wife, Miriam, and I created. …art project to celebrate our 52nd year of marriage. ….During each of the 52 weeks of our 52nd year, we posted photographs…that relate the weekly Torah reading to our lives…..invites others to create their own Bible blogs that… express spirituality.."
Learning about the "Aleph-Tav" and how it appears in the Hebrew language in the Torah thousands of times and yet is never translated into English has deepened our understanding of the Scriptures dramatically. The rabbe have argued over who or what is this "Aleph-Tav" for as long as there have been rabbe. Just learning about WHERE the "Aleph-Tav's" are located reveals a much bigger picture than anyone could ever get just from looking at an English Bible. This is worth learning more about as we're also taught that Moshe NEVER put "an idle word" in the Torah. Great comments from the Israel Bible staff on verse 1. I never realized the part about the first and last letter of Torah. Truly, it is the heart of ALL that praise and hold dear the Elohim of Avraham, Yitzak, and Ya’acob. It is also the heart of the Tanahk. The prophets and poetic writers taught and sang from and of it. Most Christians don’t know it and/or won’t admit it, but every author of their Scriptures teach the Torah of Moshe as well, including their Messiah. There is a curious statement from Hashem to Avraham in B’reshit 15 regarding land ownership. He says Avraham is the undesputed benefactor of ALL the land between the Euphrates River and the River of Egypt (Nile). That’s one huge swath of territory. The Euphrates begins somewhere near the northern extremes of Syria and continues southward through Iraq to at least the Persian Gulf. The Nile begins at or near the Med and continues several thousand miles down to the southern portions of Africa, to a point well below southernmost Saudi Arabia and to the Indian Ocean. According to B’reshit 15, it appears the little swath of land in question today is just a down payment on Avraham’s inheritance. How’s that for a ONE State solution? You may think you know what Y'shua taught about Mosheh's Torah, but he certainly didn't observe Mosheh's Torah. He touched a woman who wasn't his wife, which is forbidden. He touched a bleeding woman, again forbidden. He touched a leper which was forbidden. The referred to his mother as "woman" which is disrespectful. He destroyed personal property when he overturned the moneychanger's tables. He also let their animals loose when he smashed their cages, again against the law. He didn't keep halacha on many occasions as pointed out by the Rebbeim. Y'shua kept the rules he wanted to keep and disregarded the rules he disagreed with. Not very observant. Where did you get that Yahuwshua touches a woman who wasn't his wife? He has no wife. He did not touch the bleeding woman the woman did touch the edge of his garment and that she was healed according to the story. He did touch the man with leprosy to heal him. The law not to touch lepers is personal and not in general form to not infect yourself with the disease. But if you want to help lepers you need to touch them for medications it's a common sense. If he destroy tables of disrespectful disobedient money changers who use the temple like their business to gain money by fooling the worshippers who went to the Temple then Yahuwshua did was noble. He smashes the cages of the animals because he was right, that's not how the way to choose an animal to offer to the Father. The offering must be the best of your effort not just pick up something from the side as these crooks were teaching the worshippers. They are teaching evil to the people and so he shows the right way to do these things at the Temple. So you see as a Teacher of Prophet he did the right thing based by the law and common sense. Intersting …you comments however on Yeshua breaking the Torah are in correct… he did not come and break the WRITTEN TORAH maybe the Oral but not the written. Correct me if I am wrong, HaShem never said to not help or heal someone who is sick on the Sabbath. In fact we are commanded in the saving of life trumps all else. The touching of a woman I have not read that he did this… and the woman bleeding she touched him. Again all this being said, I am correct you are talking Oral Torah and specifically the laws and interpretations of Jewish Rabbi's and Sages , correct? That is a question…and I am not trying to be confrontational just trying to get to facts. Yehusa was a Pharisee and did teach Moshe's Torah…..
Genesis 1: 1 says, “In the beginning Elohim created the heavens and the earth”. The Hebrew rendition says, “B’reishit bara Elohim et hashamyim v’et haeretz”. In the spirit of Isaiah 46: 9-10, and Genesis being an introduction to Torah as I stated above, there is a word missing from the English version of Gen. 1: 1. It’s the word, “et”, (aleph Tav). It’s placed next to “Elohim” and doesn’t come into play in any English translations I’ve read. It also appears almost 20 times in this chapter alone. What is the mystery Moshe is trying to reveal? Would anyone like to take a stab at solving this mystery? I believe the mystery is …pointing to Mashiach…Yeshua Ha' Mashiach . Yeshua tells us HE is the Aleph Tav…… In using the Bible Code founded by Eliyahu Rips of Hebrew University in Israel one can find ALL kinds of gems concerning Yeshua and in Proverbs 30:4 Who hath ascended up into heaven, or descended? who hath gathered the wind in his fists? who hath bound the waters in a garment? who hath established all the ends of the earth? what is his name, and what is his son's name, if thou canst tell? I believe the answer is in fact YESHUA! If one’s comments were to pick apart the very first chapter in Genesis for argument sake, as a vulture on bones, a NEW MEMBER READER would quit reading the first day! Be encouraging to one another! Pick apart the very first chapter? Absolutely YES! As a matter of fact, I suggest picking apart EVERY letter within Torah, right down to every jot and tittle. There is no redundency or mistakes within it’s pages. Every letter and scribal mark has a specific meaning and purpose that demands our attention. Be encouraging to one another? Again, absolutely YES! Any nastiness within these comments is borne out of pet doctrines on all sides of the discussion. It’s an “I’m right, you’re wrong” approach to the Scriptures. That approach will NEVER work! The only path to true encouragement is to “pick apart” every detail of Scriptures and feast thereon. For argument sake, as vultures on bones? This is a very shallow and condescending statement. This first chapter, all of Genesis, and the Torah for that matter, is there for the dissecting. In each letter, there’s a veritable orchard or garden just waiting to be discovered. These jewels can only be found when parties of this discussion divest themselves of their personal, traditional thinking. Only then can a harvest of plenty from the hand of Elohim be reaped. When I write comments that seem a little terse, I usually look back on them and feel a little uneasy, conspicuous, and guilty. This appears to be one of those times. It is in no way my desire to be a part of the “nasty” crowd. I’m attempting to commune with my brothers and sisters in the land, and those of Jacob and Israel still scattered abroad. We are family and I wish to tailor my comments accordingly. Let me explain with something I just learned. The reference is Talmud Eruvim 13b. “Eilu v’eilu divrei elohim chayim”. In English it’s, “These and these are the words of the Living God”. In this consideration, there are two sources of our interpretations of Scripture. They are personal pride and “machloket l’shem shamayim”, or “a disagreement for the sake of heaven”. It is my prayer that wisdom wins out in this sometimes prideful student of our Master Elohim. It is a mature student of Elohim that understands the difference between the two. The former may win a battle, or argument, but only the latter will stand when the dust settles. The former will alienate brothers, sisters, and friends. The latter will last a lifetime. There is a verse in the Brit Hadashah that says, “Now remains faith, hope, and charity, these three. But, the greatest of these is charity”. I pray all my brethren have a beautiful Son-shine day in Adonai! Yes, I agree, no pettiness and we should encourage everyone who seeks to understand Hashem's love letter to us, the Tanach which is also His instructions on how to live the best and most satisfying life in in His Creation. Also, Hashem may have more than 1 meaning in a scripture so that sometimes a person cannot say this is the only meaning in this scripture. But then too, honesty is needed. If a person were to say, "I have 2 statements. Statement number 1) is 2+2 =4. Statement number 2) is 2+3 =4. and then asks other people, which is the correct statement? ; should a person answer, "each is only your opinion? No! A person must in honesty say that statement number 1) is correct and statement number 2) is incorrect or wrong. Some will say that no one knows anything for sure and every statement is only a person's opinion, so that no one can say someone is right or wrong. Not so. I know that 2+2=4 because I have seen the truth of this many times. I know that Hashem is real because He has given me the undeserved Spiritual experience of the Reality of Himself, His infinite love for us, and that He is the only True God. You may disagree and say that, that is only my opinion but I know from personal experience that what I have just written is more correct and more true than 2+2=4. God bless you all. I so agree! We have all so much to learn and picking the scripture apart is our only way to learn..sure we will have differing opionins and there is nothing wrong with that. This how we learn…and until it is written on each of heart and we now it fro Aleph to Tav then we glean from each other! That is an assumption based on the fact that you have the New Testament to prove that Yeshuah was there. But, If you read the Tanach as it is then you will see that without the New Testament you would find it hard to prove that just as you out it. Genesis 2:2 Now the earth was unformed and void, and darkness was upon the face of the deep; and the spirit of God hovered over the face of the waters. The above verse proves that the Holy Spirit of God was there. Not to disagree but to add; God is Spirit, so that the words, "The Spirit of God hovered over the waters," could instead simply mean that "God who is Spirit hovered over the waters." The problem here is that the concept of the Spirit of God is different from YHWH the Creator of all things. No, Spirit means power, knowledge, wisdom, strength, etc. What it really means he was focusing, looking, studying, planning, that's how knowledge work and it doesn't mean of another entity hovering upon the face of the deep. It is designed fashioned according to plan and most of the time the maker of the plan is not the builder but another worker are assigned to complete it. This is an interesting subject. Genesis 1:2 I just want to interject something I heard and that is that when Yeshua walked on the water his brethren because they knew the word and in particular this verse they would understand who he was because of this scripture…. to me it really made sense….. There were around 50 secular scholars living and recording history at the time of Y'shua. Not one of them mentions him at all. In addition, the earliest writings of Josephus do not include any mention of Y'shua. He was added in later editions. It's interesting to note that there is only a blurb that mentions Y'shua in these later editions but much more is written about John the Immerser. That makes no sense at all. Yes but Saul/Paul lived during the time of Yeshua and sent letters to the churches he started and spoke of Him. The churches copied these letters and spread them to the other churches. The letters of Saul/Paul are therefore certain to be accurate as people at the time could check them out and never would have accepted them if there were falsehoods in them. Blessed be Hashem Elohim, the G-d of Israel, the creator of the heavens and the earth, who graciously provides all things good for life. When we read Genesis, one must remember that Moses was given these inspired words so that the people could be taught where they originated from. He, Moses never had any writings with which he could compare notes. Nor did he have the teachings that is known as The New Testament. So, going to the First verse. In the beginning… those three words should then teach the reader that that is what is being brought to the fore. Elohim is one of the Names that is used to name God as being superior in Nature, Character and in Person. We also should remember that we are not here to argue about the existence of Meshiach or not. We are here to learn about the reason the scriptures were written in the order that they were and also the content that was given to be written about. Greetings, Joshua Michael. I think you’ve hit the nail squarely on two points. In the order you presented them, this forum is not for any one of us to affirm or reject the existance of “Meshiach”. If that is to be done, only Torah and the prophets are qualified. Your second point regards the designed order and content given to us to discuss. In these, you are very correct. I would suggest Moshe did no differently than any other bonifide author. Before he begins his work, he states a purpose for the work. In actuality, Genesis is part of Torah. Yet, in practicality, it’s only his introduction. In Genesis, Elohim states through Moshe the purpose of the entire work and introduces the characters upon whom Exodus thru Deuteronomy are applicable. In regards to this point, Elohim refers to Himself through Isaiah in 46: 9-10 and says, “I am Elohim, and there is none beside Me, declaring the end from the beginning, and from ancient times things that are not yet done”. Would you agree with my premise that Elohim began with Genesis because He wanted to state His purpose and set the stage for everything that followed? This is awesome in how we can access God’s heart through his wonderful word. “…And God saw everything He had made, and, behold, it was very good…” One cannot even imagine this scene…God looked over everything He made from the moment He spoke our universe into being; day one, and pronounced that it was “good”. This is what humans do when one completes a project…and then, rest from laboring. So, this is where we get it, then, right from God Himself. How beautifully simple, but, of course, creating the known universe was “laboring” on a much more major scale. Imagine the sense of accomplishment, the sense of elation at the moment of completion, the pronouncing of, “.. it was good…” And we today get that same sense of accomplishment, the same elation when a project is finished, and it comes from His gracious hand, passed down to us now from His son, Adam, our earthly human ancestor….and it is good! What a wonderful Abba Father….Selah. The scripture begins by God declaring Himself to us. Then by introduction to the fathers and the works He reveals through them, we learn about His character of holiness. And then we can understand His will for us. I think that the word “God” its confused to the people, because in hebrew the word “Elohim” isn’t the same. Elohim its an attibute of justice, and its not only for a specific person, by example for judges. So, when we used “Elohim said”, then Elohim isn’t HaShem. I'm very confused about the names. Elohim, Adoni, G-d, HaShem, Yahweh – all are names for God. I've always thought that El is G-d. Can you explain a little more? As I understand it, the Priests and rulers of Israel in ancient times considered the 10 Commandments so Holy and so important to obey that they built "boxes" around them. One of the 10 commandments reads in the Hebrew, "Thou shall not take the Name of "Yod He Vav He" in vain." "Yod He Vav He" are the Hebrew characters that spell the Name of God. These Hebrew characters are now transliterated to be pronounced in English as Yahweh. So that it would be impossible for any person who is Jewish to disobey that commandment, they were forbidden to pronounce God's Name at all. So that Jewish people could talk about God yet not pronounce His Name they used substitutes. Hashem is one of those substitutes and in Hebrew, means "The Name", and is my favorite as I feel it is the most intimate in my heart. Adoni is one of the substitutes for God's Name and means, "my Lord" in Hebrew. The Hebrew word spelled in English characters as "El" , is the equilivant of the English word spelled, G O D. The suffix "im" in Hebrew indicates a word is masculine and plural, so that Elohim would seem to be similar to the English word "Gods" but there is considerable controversy about this as Jewish people, Christians and myself believe that there is only 1 God so that the word "Gods" is an impossibility and so that Elohim must mean something else. Luis is right. When the word Elohim is used in the T'nach, justice immediately follows. When the word YHVH appears in the T'nach, the attribute of mercy follows. The term Elohim however doesn't strictly refer to G-d. It can refer to judges, angels, kings…It all depends on the context. Remember, context is king when it comes to scripture. Just as a side note, 1/4 of the day G-d spends studying the Torah. 1/4 of the day G-d sits in mercy. 1/4 of the day G-d sits in judgement. The final 1/4 of the day, G-d plays with Leviathan. Rich Hall thank you for clarification on "Elohim"…I knew that it could mean Justice and YHVH -Mercy but did not realize Elohim could be referred to judges,angles,kings.mI will have to keep that in mind! Doesn’t Genesis 1:26 prove the Holy Trinity when saying, “Let us make man”? Us is plural, meaning more than one present. Orthodox rabbi’s argue that God was asking the earth to help Him. The power of God does not require any help, so this argument makes no sense. Why is it so hard for Orthodox Jews to conceptualize God as having three parts, but as being One? Candy, you ask an important question that has been raised by many. According to the medieval commentator Rashi, God was consulting with His angels. Since man was being created in their image, God did not want the angels to be envious, and so He involves them in the process. Rashi acknowledges that speaking in the plural would leave room for people to misinterpret God’s words, but concludes that God determined it was worth the risk in order to teach a lesson in proper conduct and humility. In his words “Even though they [the angels] did not assist Him in His creation, and there is an opportunity … (to misconstrue the plural as a basis for their heresies), Scripture did not hesitate to teach proper conduct and the trait of humility, that a great person should consult with and receive permission from a smaller one.” He points out that the next verse, which describes the actual creation of man, is written in the singular. What would a Jewish commentary perhaps explain about Mashiyach being present as the “us” in Beresheet? Mishle 30:4 reads: Who has ascended into heaven, or descended? Who has gathered the wind in His fists? Who has bound the waters in a garment? Who has established all the ends of the earth? What is His name, and what is His Son’s name, if you know? The Son was the first creation even refer to as "The Word" he was with the Father before anything else was made. Was the Son is also God in the creation? Yes he is to us and to the angels. The FATHER of life is One true God even the Son and all heavenly creatures worship the Almighty Father. His name is YHWH and his Son YaHuWsHua the Messiah. It is not possible that God meant Himself and the angels too when He spoke about the creation of man. Because in the following verse He clarifies: "27 And God created man in His own image, in the image of God created He him; male and female created He them". He doesn't say that He created man after His image and the image of angels. He says that He made man only after His image. So not all angels look like God? Creatures of Creation? What does that mean? Most of the things written in the Bible are meant to be understood by all clearly because I believe God does not intend to confuse us. The difference lies in the interpretation of God's words by an individual or group of people according to their biases (for or against). I would like to believe that the words of God must be understood with due regard to time and events they were written. Otherwise, we become too dogmatic, and may miss what God has really intend us to do. Shira, there is just as much interpretation or understanding that he could just as well been speaking about Jesus and the Holy Spirit and the Angels. There is no proof that they did not exisit at all. what is the proof it was angels to whom God ask? SHIRA, THIS IS YOUR ANSWER AND RASHI, BUT IT CANNOT BE PROVED, WHAT IS WRONG WITH THE BELIEF IN THE TRINITY / WHY WOULD YOU REJECT IT / TRUTH IS ETERNAL AND WILL ALWAYS PROVE ITSELF. i think you are limiting G-d to just 3 appearances. I belief HE, HaShem is unimaginable much more than limited to the churchdoctrine of a Trinity. I belief HE has the possibility of multi-muli emanations, even at the same time. Proving things is impossible. HE is G-d!!!! I am inclined to say that our people Israel are proof of HIS EXISTENCE. Genesis 1:26 does not prove the man made doctrine of the Trinity that was not a part of church teaching until it was approved starting with the Council of Nicea where only two being were recognized in the so-called Godhood – Yehovah and Yehoshua, so at that time God was Binitary. Note: The Council of Nicaea in 325 did not end the Arian controversy which it had been called to clarify. Arius and his sympathizers, e.g. Eusebius of Nicomedia were admitted back into the church after ostensibly accepting the Nicene creed. Athanasius, bishop of Alexandria, the most vocal opponent of Arianism, was ultimately exiled through the machinations of Eusebius of Nicomedia. After the death of Constantine I in 337 and the accession of his Arian-leaning son Constantius II, open discussion of replacing Nicene creed itself began. Up until about 360, theological debates mainly dealt with the divinity of the Son, the second person of the Trinity. However, because the Council of Nicaea had not clarified the divinity of the Holy Spirit, the third person of the Trinity, it became a topic of debate. Comment: it is interesting is it not one scriptural proof given in the the creed of 325 which recognized only two beings as being divine, and the following creed of 381 which included a third being [which, who has no name] as the third person or essence of the Trinity. Not one scriptural reference, no proof from scripture to prove that God is Triune, not one. Why? We the Catholic Encyclopedia states rather plainly that the doctrine of the Trinity cannot be proved from scripture. Amazing admission coming from the Roman Catholic Church! Isa 45:21	Declare and present it. Isaiah 40:25: To whom then will you liken me? There is no one equal to YHVH – Yehovah, no one, certainly not Yehoshua His son. Just the fact that Yehovah is the father of the one who He has made lord and Messiah indicates that they cannot be equal in any way. Now let’s go to a proof text that is quoted or referred to over 20 times in the New Testament [Covenant] Maybe God is trying to let us know who He is and who His son is! This verse was referred to the Messiah by the Pharisees and by Jesus (Matthew 22:41ff). It tells us that the relationship between God and Jesus is that of Deity and non-Deity. The Messiah is called adoni (my lord) and in every one of its 195 occurrences adoni (my lord) means a superior who is not God. Adonai on the other hand refers exclusively to the One God in all of its 449 occurrences. Adonai is the title of Deity and adoni never designates Deity. Why is it that a number of commentaries misstate the facts aboutPsalm 110:1? They assert that the word for the Messiah in Psalm 110:1 is adonai. It is not. These commentaries seem to obscure a classic text defining God in relation to His Son. The Hebrew text assigns to the Messiah the title adoni which invariably distinguishes the one addressed from the Deity. The Messiah is the supreme human lord. He is not the Lord God (cp. I Tim. 2:5; I Cor. 8:4-6; Mark 12:28ff). “The lengthening of the ā on Adonai [the Lord God] may be traced to the concern of the Masoretes to mark the word as sacred by a small external sign” (Theological Dictionary of the OT, “Adon,” p. 63 and Theological Dictionary of the NT, III, 1060ff. Jesus answered, “The first is, Hear, O Israel! The Lord our God is Lord alone, and so you are to love the Lord your God with all your heart, and with all your soul, and with all your mind, and with all your strength. And when Jesus saw that he answered intelligently, he said to him, “You are not far from the Kingdom of God.” And after that no one dared to ask him any questions. Of course the answer is that Jesus is his descendant, a son who he was promised by his God would sit upon his throne, in the coming Kingdom of God. John 5:26: For as the Father has life in himself, so He has also given to the Son to have life in himself. Comment: If Jesus is a god/man as the Trinitarians say, then why would his Father have to give him to have life in himself. Would he not already have life in himself as a god/man? Notice what Jesus says in John 17:3: And this is life in the Age to come, that they know you, THE ONLY TRUE GOD, and him whom you sent, Jesus the anointed one. 1 Corinthians 8:5-6: For even if there are so-called gods [NOTICE HE SAYS SO-CALLED GODS], whether in heaven or on earth, yet TO US THERE IS ONE GOD, THE FATHER, from whom are all things, and we are for him; and one lord, Jesus the anointed one, through [because of] whom are all things, and we are through him. Indeed from before the foundation of the earth God in His foreknowledge had Jesus in mind to become the one who would save men from their sins and have a place ruling with him in the coming Kingdom of God. Mat 13:35: so that which was spoken through the prophet was fulfilled, saying, I will open my mouth in parables; I will utter things hidden from the foundation of the world. Rev 13:8	And all who live on the earth will worship him, everyone whose name has not been written in the book of life of the Lamb that has been slain from the foundation of the world. John 17:24: Father, I want those whom you have given me to also be with me where I am, so that they can see my glory, which you have given me because you loved me before the foundation of the world. The purpose of this paper is not to weaken someone’s faith, on the contrary, it should if anything, strengthen your beliefs. It should however, give you enough questions about the trinity to force you to go and do some research for yourself, at least for the piece of mind that you have not been mislead. However, if you do any kind of research, you will find that the Doctrine of the Trinity is completely man made. It was not taught by Jesus nor his Apostles. It is a product of the influence of Greek philosophy upon the early Christian church of the first few centuries. The problem of interpreting the Bible by Gentiles who were schooled in Greek philosophy is that the two do not mix. Someone using Greek philosophy to interpret Hebrew documents is going arrive at some very mistaken conclusions. I like to use an example that I heard from a friend of mine to illustrate this point. If an Englishman says, “I am mad about my flat.” He means that “he is excited about his apartment.” To an American it means that “he is angry about his flat tire.” Keep in mind that in this example they are both speaking English in the same century. Imagine interpreting Hebrew writings from a different century, using Greek philosophy to determine their meanings. The outcome can only be disastrous! Vine’s Expository Dictionary of Old and New Testament Words defines the Hebrew word spirit as: breath of life. 2. mind set, of one’s mind or thinking. “For who among men knows the thoughts of a man except the man’s spirit (mind) within him? In the same way no one knows the thoughts of God except the Spirit of God,” (the mind of God). The Bible refers to the Holy Spirit as God’s Spirit or the Spirit of God. It is the Spirit (the mind) of the Holy One, “God.” It is not a person separate from God. Remember that the New Testament cannot contradict the Old Testament. There was no exchange of God’s. It is the same God throughout the Bible. If the Holy Spirit has always been the third person in a triune God, then why did they not include the Holy Spirit as a member of the Godhead when they made Jesus “God” at the Council of Nicaea in 325 AD? Why did they have to wait until the Council of Constantinople in 381 AD to include the Holy Spirit in the formula? The reason is because neither Jesus nor the Holy Spirit had ever been considered separate persons of the same God until Greek philosophy started to influence the early church in the 3rd, 4th, and 5th centuries, mostly by the pen of such men as Origen and Tertullian. God the Son, or Son of God? “But abandoned themselves to the worship of other gods” (elohim). When Jesus is asked which commandment is the most important, Jesus answers in Mark 12:28 – 29 by quoting Deuteronomy 6: 4. Jesus did not say the Lord is three in one, and one in three. He was in complete agreement with the Old Testament view of God. As a matter of fact, it is not just a commandment to know that God is one, Jesus says it is the greatest commandment (Mark 12: 28 – 29). Paul cannot be clearer on this subject. There is no, “God the Son,” or “God the Holy Spirit.” Only, God the Father. Then, Jesus says to Peter, “Blessed are you, Simon son of Jonah. For flesh and blood has not revealed this to you, but my heavenly Father ” (Matthew 16: 15 – 17). Notice that Peter says “Son of the living God.” He could just as simply have said, ” You are God,” but he doesn’t. Jesus then tells Peter that the Father has blessed him by revealing to him who he is. Jesus is the Son OF God, not God. Jesus is not God, but God is in him. He was one with God in spirit (mind, purpose). We are born with a veil through which we cannot see. When we receive God’s Holy Spirit through Jesus, God starts revealing things to us through whatever means he wishes, His word, visions, dreams, or other people. But He does this at His own pace, when He knows you are ready. But Jesus did not have a veil, he could see clearly because he is God’s only begotten Son, His Chosen One. He had a specific mission to complete for God’s plan to reconcile us to Him. God’s Spirit revealed everything about the Kingdom of God to Jesus. Just think how much less you would have sinned if you had known when you were ten years old what you know now about God and Jesus. A big difference surely! Daniel 9: 25 – 26 states that he will be anointed and a leader, and that the anointed shall be cut down. Isaiah 11: 1 – 2 states that the Spirit of the LORD shall rest upon the shoot from the stump of Jesse (Jesse was David’s Father, and Jesus is of the line of David). Psalms 89: 27 – 28 states how the anointed will call God his father, his God, his rock, his savior, and how God will make him the firstborn. The Messiah is supposed to be a man anointed by God, not God in the flesh. Webster’s Dictionary and The Quest Study Bible, define Messiah as – anointed one. Which is exactly who Jesus is. Read Acts 10: 38 and Acts 2:22 if you have any doubts. Jesus and his Apostles covered every aspect of Christian life in their teachings and writings. Would it not be fair to conclude that something as important and complicated as the trinity would have been given at least a few verses explaining this complicated relationship. Yet, Jesus nor his Apostles dedicate one verse of explanation to this subject in the entire Bible. Isn’t it odd that the greatest teacher of all would just completely overlook what is considered by some to be one of the most important concepts in Christianity. The entire Bible contradicts this theory. If you were to read the entire Bible from cover to cover without any preconceived ideas, you would never come up with the concept of the trinity. So how did this concept come to be? The influence started even as early as in Paul’s day. Paul and John wrote in their letters against some of these Gnostic teachings that were already trying to creep into the church. It was in the third and fourth centuries that the big infiltration of Greek philosophy into the early church started to change some core doctrines, the nature of Jesus being one of them. It was a false teaching that developed over two hundred years and was formulated as a formal doctrine in part at the Council of Nicaea in 325 AD and then in its present state at the Council of Constantinople in 385 AD, three hundred and sixty years after Jesus. “By their fruit you will recognize them”(Matthew 7:16). Pressured by the Emperor with forced exile, the bishops with only two exceptions signed the creed, many of them much against their inclination. A few years later when Arianism became popular, Constantine found it politically expedient to change sides and exiled all those who did not agree with him, which were the same ones who had agreed with him at the Council of Nicaea. I think this action clearly shows how much conviction Constantine had towards the idea that Jesus was God. As was mentioned earlier, he converted nearing the end of his life, and was baptized by the Arian Bishop of Nicodemia. He was not a Christian during the council, and in my opinion, (according to Bible standards) he never was. It is worth noting, that the Holy Spirit was not even considered at Nicaea. If the Apostles taught the trinity, then it should have been a constant teaching from the Apostles to Nicaea, and Nicaea should have just formalized the teaching. But as has been mentioned, the Holy Spirit was not included in Nicaea’s formula, which proves that this was not an established teaching of the times as people will have you believe. It was a developing doctrine, entirely man made. Debate over this continued for decades, then Emperor Theodosias established the creed of the Council of Nicaea as the standard for his realm and convened the Council of Constantinople in 381 AD to clarify the formula. The council agreed to place the Holy Spirit on the same level as God and Christ. For the first time Christendom’s Trinity became law for both church and state. “Every spirit that acknowledges that Jesus Christ has come in the flesh is from God. Many deceivers, who do not acknowledge Jesus Christ as coming in the flesh, have gone out into the world. Any such person is the deceiver and the antichrist” (1 John 4:2, 2 John vv. 7). Strong’s Greek Dictionary of the New Testament defines flesh as follows: (spec.) a human being. Vine’s Complete Expository Dictionary of Old and New Testament Words defines flesh as follows: In the totality of all that is essential to manhood. “See to it that no one takes you captive through hollow and deceptive philosophy, which depends on human tradition and the basic principles of this world rather than on Christ” (Colossians 2: 8). The trinity depends entirely on human tradition and basic principles of this world rather than on Christ. This is a simplistic explanation of how it got started, there is much more information to be studied on where the concept originated and why it was successful in gaining popularity. But in order to find this information one must get out of their seat and do a little legwork. I assure you it is not that hard at all, pick up The Encyclopedia Britannica and look up “Platonism” and read the effects on the early church. Then look up all the names which that section mentions. Look up “Trinity” in various encyclopedias. This is just the start. You will be amazed! “Worship the LORD your God, and serve him ONLY ” (Matthew 4: 10). “I tell you the truth, my Father will give you whatever you ask for in my name. Ask and you will receive, and your joy will be complete” (John 16: 23 – 24). Jesus is our connection to God, but you are supposed to pray to God in Jesus’ name. God alone is the one who grants your prayers. Remember that Jesus used to pray to God with his requests. By making Jesus God, a lot of people pray directly to Jesus instead of God, thinking that they are one and the same. I think you will find it interesting that throughout the entire New Testament, none of the Apostles ever pray to Jesus, always to the Father. Have we become so arrogant to think that we know better than the Apostles? Prayer is a powerful weapon against Satan. The result is that some people miss out on one of the most important resources God has given us, PRAYER. By praying incorrectly a lot of prayers go unanswered needlessly. It is like trying to place a call to your friend John Doe, and his telephone number is 123-4567, and you dial 123-4568 and then wonder why John Doe never answers his phone. So a lot of people died that could have been saved, a lot of families broke up that could have stayed together, a lot of people suffered that did not have to suffer, and a lot of people had their faith shaken when their prayers were not answered. Third, it promotes confusion and division among the church. Who profits from this? That’s correct, Satan! “For we do not write you anything you cannot read or understand”(2 Corinthians 1:13). There should not be “The Mystery of the Holy Trinity.” There is no mystery. Some people will try to answer some of these questions by saying, “Jesus emptied himself.” This shows how little people understand their own creed. This is called the “kenotic doctrine” and people try to use it in defense of the trinity. But it is in total contradiction to the Chalcedon Creed. The Kenotic Doctrine says that Jesus emptied himself of his deity. Well, you can simply read in the Chalcedon Creed that it defines Jesus’ nature as fully God and fully man at all times, without division, without separation. You cannot say that you believe in the trinity and use this excuse. If you subscribe to the kenotic doctrine, then you have already rejected the trinity. You cannot be both. “For since death came through a man, the resurrection of the dead comes also through a man” (1 Corinthians 15: 21). It does not say, comes also through a Godman, or through God, but through a man. Jesus was a man anointed by God. Q. Who’s right hand did he sit next to? Aren’t Jesus and The Majesty the same being? Q. If Jesus is supposed to be co-equal with God the Father, what does “He became superior mean?” Isn’t Jesus, if he is God, superior to all already? Q. Who is Jesus’ God? Q. Jesus’ accord is not the same as the Father’s? 8. Psalms 110: 1: “The LORD (YHWH) said to my Lord”(Messiah). Examples: Mark 14: 32, Luke 9: 18, John 17: 9 – 18, John 17: 20 – 26. Q. Why does Jesus make such a clear separation between God and himself? Doesn’t Jesus know that He is God? Q. Isn’t that what Christ means, the anointed one? Q. How can Jesus’ will not be the same as the Father. Aren’t they the same being? Satan knows God personally. Job 1: 6 – 7: “One day the sons of God came to present themselves before the LORD, and Satan also came with them. The LORD said to Satan, “Where have you come from?” Satan answered the LORD, “From roaming through the earth and going back and forth.” The devil knows God. Q. If Jesus is God, why does he say that his other witness, the second one is the Father? Wouldn’t that still be just one witness? Q. If Jesus is God in the flesh, why would he be in Heaven? Isn’t he God in Heaven? Q. Jesus was a man, and without a doubt he was the “son of man.” How can this be? 24. 1 Corinthians 15: 26 – 28: “The last enemy to be destroyed is death. For He has put everything under his feet. Now when it says that “everything” has been put under him, it is clear that this does not include God himself, who put everything under Christ. When he has done this, then the Son himself will be made subject to Him who put everything under him, so that God may be all in all. Before we start, a good understanding of creation will help us to understand several verses which people have tried to use to mean that Jesus was responsible for creation, or was an agent for God in creation, or that somehow he was involved in, or was present during creation. This incorrect assumption will of course lead to other misinterpretations of Scripture such as John 1: 1 – 3 and Hebrews 1:2. “Then I heard the voice of the LORD saying, whom shall I (singular) send? And who will go for us (plural)? a flame of fire;”? LXX-Psa. 103:4; MTPsa. are works of Your hands. hostile ones as a footstool of Your feet”? being about to inherit salvation? Question: What is your understanding of the scripture that talks about grieving the holy spirit as a separate identity? Ok, so where does the 'spirit' come into this? God speaks to someone, so who… the angels yes, but it is God's spirit that does the brooding, indicating that there is more than one operating in creation. In the following verses it is God's Word alone that is spoken. One could argue this all day I guess, but, one day we will understand, there are many mysteries that are hidden from our eyes, waiting to be revealed. This will be one of them I guess! so if it was angels to whom GOD ask why most churches teach it was God Son and God Holy Spirit in verses where mentioned WE? There is only One true YHWH the Father that is to be worship by all creation on earth and in heaven. The Son his first creation before anything were made was made God in which we must obey and follow all his teachings so we may know the Father who sent the Son for our salvation. Shalom Candy. There were two, not three. There were never three, which is a pagan concept adopted by Rome and forced upon Jews that believed in Yeshua as the promised Messiah who came as Yeshua Ben Yoseph. Yeshua prayed to the Father, never to a third party. There are many pagan concepts that came down the roman pipe including the name crestianus or Christians which was given in derision to the followers of The Way or Nazarene Jews. They did not consider themselves Christians because the crestianus were followers of Serapis Crestus, a pagan deity. Instead they followed Torah the way Yeshua showed them to do it and contrary to popular belief they kept the Sabbath, feasts and food ordinances. That is why in Acts 15:21 they wisely concluded that pagans wanting to convert to Judaism after accepting Yeshua first had to go to synagogue every Sabbath and learn Torah instead of jumping in with circumcision right away. Anyhow, no original scripture, including the Apostolic Writings, supports the trinity concept. On the contrary we see plenty of scripture that indicates a duality rather than a trinity. When Yeshua was asked what was the first commandment (Mark 12:28-29) He quoted Deu 6:4. There are other scriptures that reinforce this duality rather than trinity concept: John 10:30, John 17:20-21, John 1:18, John 5:30, John 14:28, John 17:16, Matthew 6:9, Mat 26:37-45, Matt. 27:46, Mark 13:32, Luke 3:21-22, Luke 22:42, 1 Co 8:6, 2 Co 4:4, Rev. 3:11-12, Of course there are some verses such as Matthew 28:19, that may mislead but diligent searching indicates that this scripture in the earlier more reliable scripts does not say ‘Holy Spirit’ but was in fact added to later versions so it can’t really be counted as sustaining the trinity concept. Thank you for the explanation to Candy. I also have similar questions. I have accepted the Trinity for most of my life – and your explanation kind of shakes this up. But I am here for the truth and to know G-d and my Messiah better. Genesis 1:and the spirit of God hovered over the face of the waters. Does the above verse prove that God has Spirit? The Spirit of YHWH is His knowledge, power, strength, Wisdom, etc. When it says "hovered over the face of the waters it means he was focusing, working, studying, to create this planet. "Hovering proves there's a space in between below and above" a distance which may place a location beyond apart from creation. A plan is not a part of a creator and the one who build may not be the creator but his knowledge does. Having been raised a Baptist all my life Julia, I can understand where you are coming from with this question. However, since it is a Jewish text, that is how I must seek to understand it. The word Ruach can mean spirit, but it can also mean wind or breath. That is why some English translations instead interpret it as "a wind sent from God". I know it is hard to set aside what we have become used to, but I must approach the text in as much a Jewish understanding as I can. I'm not sure of your faith background, but I was grafted in "as a wild olive branch" into Judaism, rather than the other way around. That is, they were not grafted into Christianity, but Christians are grafted in to Judaism. Thank you. Wy it say God instead Yahweh? His sacred name. God is a translation YHWH is not Yaweh, Yaweh it is a pronunciation and not a name. YHWH is the name of the Almighty Father, The holy Name, The Name above all name. Worship His Name creatures of the Earth! Why r u so quick to dismiss that there r other gods? The bible makes many references that there r indeed other gods! As a matter of fact, God never claims that there no other gods; indeed— His commandment is that believers must not bow down to those other gods…. In the English language, what is the definition of a god: a super4natural being that has supernatural powers. That definition would then include angels as god's. Hashem is the "most high God" and the creator of the angels. Also, we humans can make god's out of money, status, prestige, and other things. When God says, "Thou should not put other God's above me He also means that we should place Him above money and other things. If a decision is to be made between doing God's will and making money, we should choose doing God's will. God's commandments are not so understand if we think about them and also ask God to help us understand them. God wants to grant that request as He wants us to obey His Commandments and how can we obey them if we don't understand them. Baruch Hashem forever! G-d was speaking to his heavenly court. G-d teaches us that He doesn't do anything without first consulting His heavenly court in the decision making process. Saying that G-d has three parts limits G-d greatly, since G-d is infinite. G-d created man in His image because since G-d is everywhere at all times, He couldn't experience Himself. That's why mankind was made in His image, so He could experience Himself. Some say that the plurality of El means that he is all encompassing all powerful in the plural state. Not necessarily many in one. That said I do believe it is beyond or description and understanding. He is outside time. The Tanach does it best through a cumbersome language to describe his character. He is ehad or one.